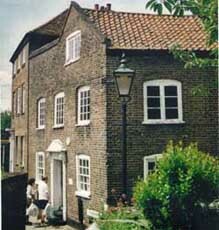 Efforts to establish a museum for Twickenham stemmed from the creation of the Museum of Richmond. The matter was first raised at the AGM of the Borough of Twickenham Local History Society in 1986, and the first proposal was for the museum to occupy part of the stables behind Orleans House Gallery. In 1988 a working party was formed, with representatives of local societies, to move the project forward and in 1991 an exhibition was held at the gallery entitled "A Museum for Twickenham?" This generated strong public support and in 1993 the working party was formalised as an independent charity. 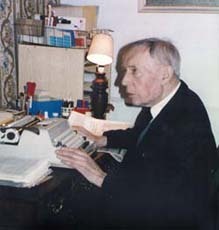 In 1994, Jack Ellis, a long-time member of the Twickenham Society, died, leaving his estate to the trustees of the charity. This included his house on the Embankment. In view of uncertainty about the future of Orleans House Gallery the trustees resolved to establish the museum at 25 the Embankment. Extended litigation delayed possession until 1999 and the house was gradually emptied of its accumulated contents. Open Days were held in 2000, and small displays mounted. Plans were drawn up for major conversion work and this was completed during 2001. Visiting the museum and contact information.